This review first appeared in Turkey's Andante High Fidelity print magazine which is a subsidiary of the Andante Classical Music Magazine. We publish its English translation in an exclusive syndication agreement with their Editor Hadi Özyaşar. All images contained in this review are the property of Andante, Lotoo or soomal.com used by permission - Ed. It’s no longer irrelevant to talk of Far-Eastern iPod killers. The last few years have seen the Pacific Rim busy with many reference portable players romancing their consumers. Think HifiMan, iBasso, Fiio, Astell&Kern as the new iRiver, QLS, Calyx and Questyle. They are all busy serving the global headfi market. And it seems new brands are gathering in the wings. Although the $2'000 PAW Gold is a late entry to the portable marketplace, the Lotoo brand by Infomedia is far from a newcomer. As they put it about themselves, "Infomedia are a high-tech company in China who have been developing, manufacturing and marketing equipment, automation systems and production systems for broadcast radio and television for over 10 years. Infomedia are the biggest supplier for audio workstations and broadcast automation systems in China. 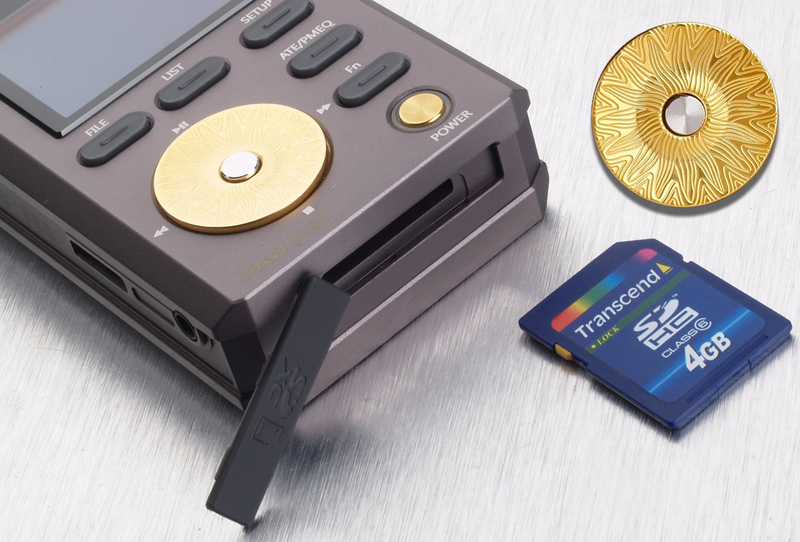 In Asia, they developed the world's first palm solid-state digital recorder and released many innovative new products at very competitive prices. The company's main business lines include broadcast automation systems, management software for radio stations, embedded product development and broadcasting system integration." 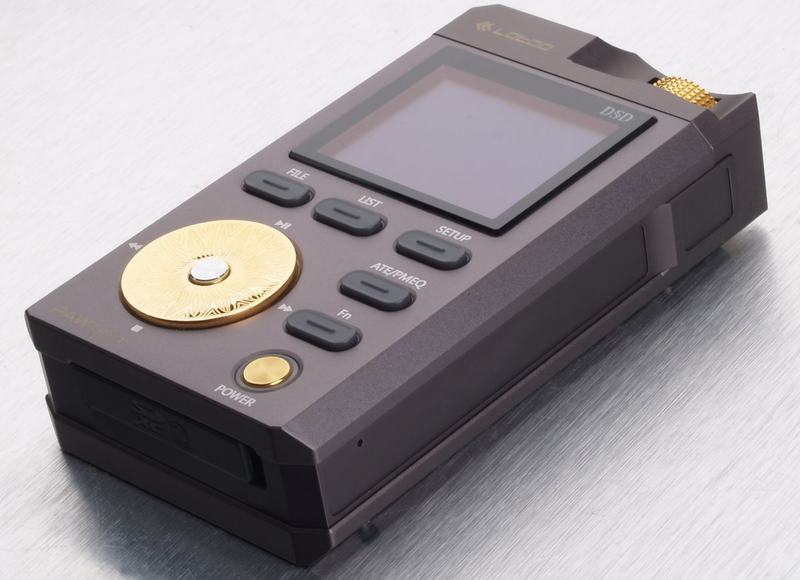 At this juncture, it's fair to make mention that Infomedia also are the original design manufacturer or ODM for Swiss brand Nagra's entry-level recorders. Lotoo's marketing director Xiao Qi introduced their first high-end DAP to Turkey's Andante magazine in Q4 of last year. This deck takes a basic design cue from Apollo as one of the most important twelve Olympians variously celebrated as the god of light and the sun, music, poetry and more. Is such luxury an essential DAP ingredient? Who knows. What's clear is that this deck's 24K gold-plated controls with the central sun dial befit a god. Its pocket-sized dimensions are 6 x 10.4 x 2.5cm WxHxD. The FMJ chassis is machined from solid aircraft-grade duralumin like the competing Astell&Kern AK240 but at 280g, it's even heavier. Due to Lotoo's enviable detailing craft, it doesn't look like a brick however. Where one might find moveable parts on its biggest competitors like the AK240 or HifiMan HM901, the Lotoo has no such issues. And whilst scratched screens can trouble many a portable to make it hard seeing your playlist especially in bright daylight, the Gold's 1.8" OLED color screen is protected by 9g scratch-proof sapphire glass like a fine watch - a luxury touch for any portable player. Lotoo's deck includes native DSD64/128 support to polish PCfi's new apple of the eye without a glitch. Simply drag your ISO files to SD card and you're good to go. That's DSF and DFF plus the usual suspects of 24-bit FLAC, 32-bit WAV, ALAC, OGG, CUE, APE and M4A. Sample rates are 8kHz-384kHz for PCM and 2.8/5.6MHz for DSD. Whilst hi-rez files can consume a lot of storage, with support of SDHC and SDXC memory cards, there's eventual storage of up to 2TB. Unfortunately this DAP has no exFAT support. Instead a 'super-speed' USB 3.0 port will have your PC transfer up to 90MB/s once the PAW Gold has formatted your SD card accordingly.